That is until they realize that they have to find that data first. Or that that data is currently 1/3 in the SIS, 1/3 in a director’s mind, and 1/3 in 10 different spreadsheets at 10 different individual’s desks. The key to solving this issue to formulate a plan early, focus in on the relationships and affiliations that matter most to you, and create a process to start gathering data. Enter: whiteboarding! It’s not always pretty, but it captures everything that you need to start writing your own requirements for the HEDA platform. 1. How would I use and benefit from this data in Salesforce? 2. Where is this data today? 3. What options do I have to get this data in Salesforce? Chances are, if you can’t answer these questions, it might not be a good idea to put this data in Salesforce. a. An individual in the careers office is able to reach out to employers who have hired our students in the past and create employment opportunities for graduating students. 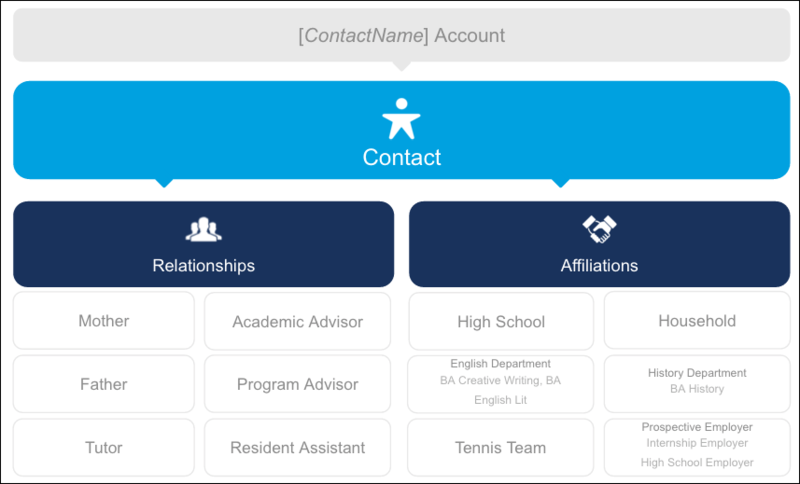 a. Redesign the application experience using salesforce communities. There are many more questions you can ask to continue down the path of discovery but answering these questions will help you narrow down not only your user stories, but also your options. You will start to see how simple or complex your implementation will be, how many departments or individuals will need to be involved, and how much integration or development will be required. · Data is in another system we would need to integrate. This exercise will help you start to define the scope of your effort to achieve your end goal on the Salesforce platform. It will also arm you with the information you need to properly set expectations with leadership regarding the type of information they can expect in your end result Salesforce Org, and how great or small the corresponding effort to achieve those results will be.